Haiku is a globally popular literary form. The earliest westerner known to have written haiku was Hendrik Doeff (1764–1837). He was the Dutch commissioner in the Dejima trading post in Nagasaki, during the first years of the 19th century. However, haiku entered the English language through Ezra Pound in 1913. 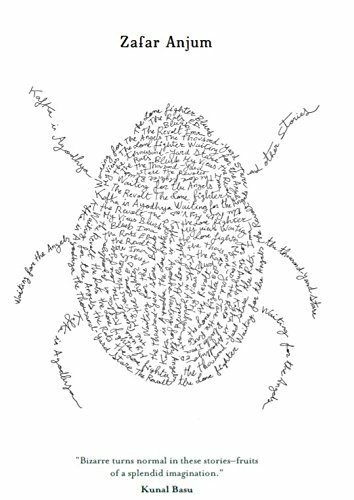 Since then, it has become a global phenomenon in poetry, transcending barriers of geography and language. 30 years ago, as a kid growing up in India, I would often come across haiku written even in my mother tongue, Urdu. Interestingly, it was Nobel Laureate Rabindranath Tagore who contributed a great deal in introducing haiku to India. 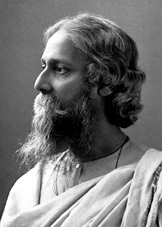 In the early 20th century, he composed haiku in Bengali and also translated some from Japanese. Clearly, this quintessential Japanese form of poetry has had a great influence on global literature. 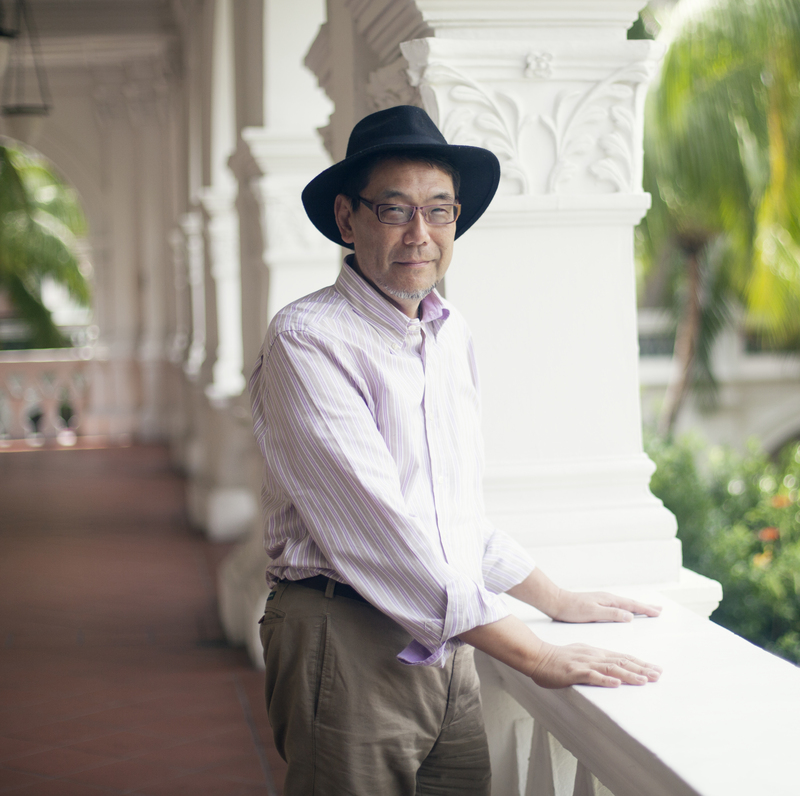 In Singapore too, where poetry is a very popular form, we find a Japanese haiku poet Hiroshi Kato who is devoted to the genre and actively promotes it in this part of the world. It was a rainy afternoon in November when I met this tall and lanky Japanese poet and art dealer in his gallery, Kato Art Duo (http://katoartduo.com/) in the Raffles Hotel Arcade. He had just moved into that office space and the décor of the room was still incomplete. A pile of cartoons was lying in a corner of the room. Large picture frames wrapped in newspapers stood by the wall. Kato San was seated beside a young interpreter behind a rectangular desk. After formal introductions in Japanese, I wanted to know his background, about his early formative years that had made him bend towards composing haiku. Kato San was born in 1949 in Tokyo, Japan. He was raised in the company of artists and developed his passion for the arts during his growing years. In the 1950s, he was introduced to Japanese poetry, haiku, and Kabuki theatre by his grandmother, Kato Moto. She was a refined and cultured Japanese lady who painted, mastered the tea ceremony and played old Japanese folk songs on the shamisen (Japanese guitar). Kato’s mother, Ryoko Kato, graduated from Seishin Women’s College in 1941 with a major in Japanese Literature. An award-winning artist, Ryoko loved to spend her time painting detailed imageries of flowers and landscapes inspired by her childhood. The arts was more than just a hobby in the Kato family, who bonded through their common love for art. Kato completed his studies in Art History at Keio University in 1971. He studied Greek drama in college (the topic of his thesis was“Greek Tragedy in Kabuki”, Kabuki being a classical Japanese dance-drama). In his thesis, he examined the process of how Hippolyutus, an ancient Greek tragedy by Euripides, was trasmitted via India and China and evolved into “摂州合邦が辻”(Sesshuu Gappougatsuji), one of most renacted Kabuki plays. At the same time, the thesis also referred to French classic drama, Phèdre by Jean Racine starring Melina Mercouri. After graduating from college, he joined Kobunsha, a Japanese publication where he was involved in distributorship. In 1973, he returned to the family business of manufacturing car parts. During his 35 years there, he also contributed to the expansion of new factories in Japan as well as Hong Kong and Shenzhen. While working in the company, Kato devoted his spare time in researching Astrology and Feng Shui. Since 2004, he has been supporting the graduate students in Chinese Calligraphy department in Capital Normal University in Beijing, China. In 2012, he was finally presented with the opportunity to return to his first love and interest, the arts. He now has a retail space in the iconic and prestigious Raffles Hotel Arcade known as Kato Art Duo, which is dedicated to the promotion of abstract art. Besides contributing to his family business and pursuing interests in astrology and calligraphy, Kato San has been writing haiku for many years. Traditionally, haiku emerges from emotions such as love and hate. But for Kato San, the motivation to write haiku comes from events and people living around him, as well as past memories. “Haikus are most often leavened by a seasoning of emotion and depict aspects of human behaviour,” he said. In the 17th century, two masters arose who elevated haikai to new levels of popularity: Matsuo Bashō (1644–1694) and Ueshima Onitsura (1661–1738). Kato San counts Bashō as his most favourite haiku poet, the shorthand for classical Japanese literature in the world today. Bashō is credited to have raised the haikai genre from a playful game of wit to sublime poetry. He is globally revered as a saint of poetry in Japan. Haiku has been so popular in the world that in February 2008, the World Haiku Festival was held in Bangalore, gathering haijin (haiku poets) from all over India and Bangladesh, as well as from Europe and the United States. 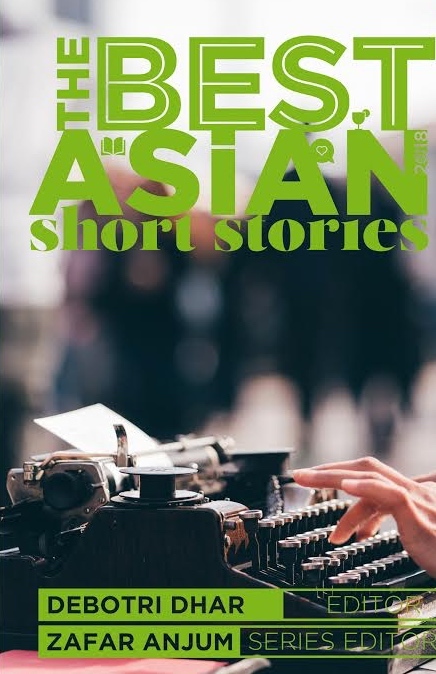 That’s why Kato San has launched a blog, Lyrical Haiku (http://lyricalhaiku.blogspot.sg) in Singapore featuring his personal collection of haiku that explores themes of love, joy, pain and hope. A blog combining both visual and literary art, the blog publishes new content weekly in Japanese and English. By the time our interview got over, the rains had stopped. I said goodbye to Kato San. He stood up and offered me his hand with a smile. I left the place with the memories of his long, artistic fingers and his warm smile. Outside, dusk was gathering and the white walls and corridors of the Raffles Hotel looked like priests and nuns in white robes hurrying into their chambers for a spiritual reverie. Posted in Authors, Poetry and tagged haiku, Hiroshi Kato, Ishi Kanta, Japan, Singapore. Bookmark the permalink.